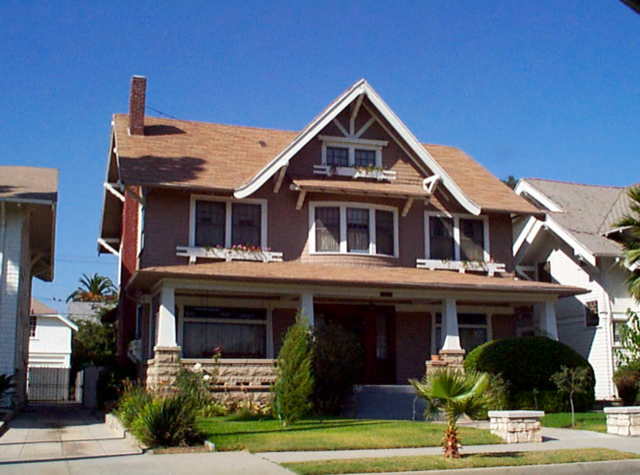 The fully restored Los Angeles (West Adams) former residence of the Stevenor Dale family is featured on the SurveyLA website. Every residence in the two block area of Western Heights is part of the HPOZ (Historic Preservation Overlay Zone) and many are flying centennial celebration banners! The image is from 1998, with the new palm tree planted on Earth Day at the front terrace. This Frank M. Tyler designed, four square structure built in 1907, was the first in a string of successful restorations that J S D A Inc. has lead.